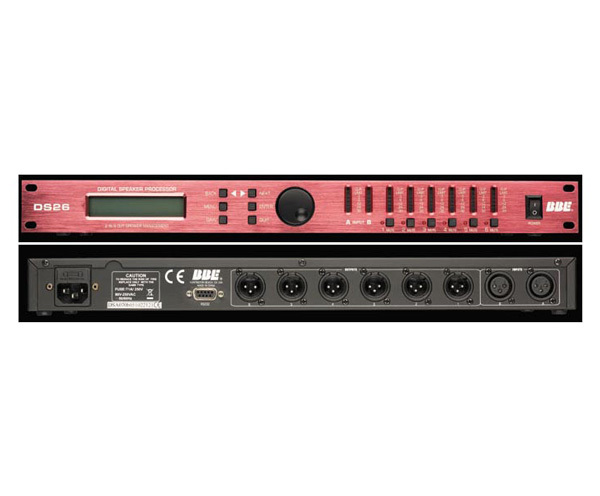 The DS26 loudspeaker management system is a comprehensive sound reinforcement tool that offers 2 input/6 output connectivity, graphic and parametric equalizers, crossovers, limiters and time delays. The DS26 can also be controlled from a PC via the DS26’s RS232 connection with the included software. Along with XLR input/output connectors, DS26 comes complete with selectable line voltages between 90 and 250 VAC operations.